Andrew Carter's Aria performed by Oliver Schmidt on Kolozsvar Pipe Organ Samples Professional Edition. Tracker noise was turned off. J. Pachelbel's Fuga in d performed by Oliver Schmidt on Kolozsvar Pipe Organ Samples Professional Edition. Tracker noise was turned off. J.S.Bach's Praeludium in e minor performed live by Oliver Schmidt on Kolozsvar Pipe Organ Samples Professional Edition. Tracker noise was turned off. George Alexander Macfarren's Larghetto in a minor performed live by Oliver Schmidt on Kolozsvar Pipe Organ Samples Professional Edition. Tracker noise was turned off. Pachelbel's Toccate in e minor performed by Oliver Schmidt live on Kolozsvar Pipe Organ Samples Professional Edition. Tracker noise was turned off. 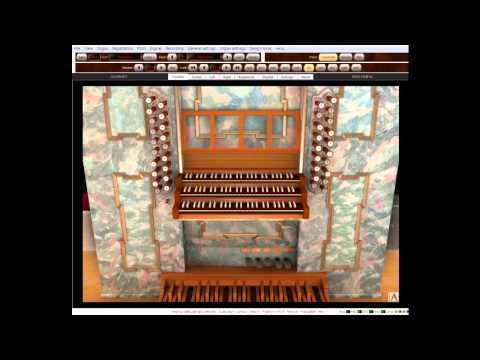 Pachelbel's Fantasia in g minor performed by Oliver Schmidt live on Kolozsvar Pipe Organ Samples Professional Edition. Tracker noise was turned off.